If you want to make it easy for potential employers and clients to learn more about you, consider creating a personal resume website. A standalone webpage to put your resume on can be a great way to introduce yourself, showcase your professional experience, and present yourself in a unique way. A standalone webpage can give employers or prospective clients a greater impression than a traditional resume. While a traditional resume does give a summary of your professional background and experience, it uses a prescribed format that is followed by everyone. By having a resume website, you have more room to let your creativity shine through. While a traditional resume is still required for some industries, having both a traditional and online resume will show potential employers that you are serious about your skills, creativity, and drive. A resume webpage has more flexibility and design options than a traditional resume. You can represent yourself in a much broader format — no need for your online resume to look the same as the paper version! 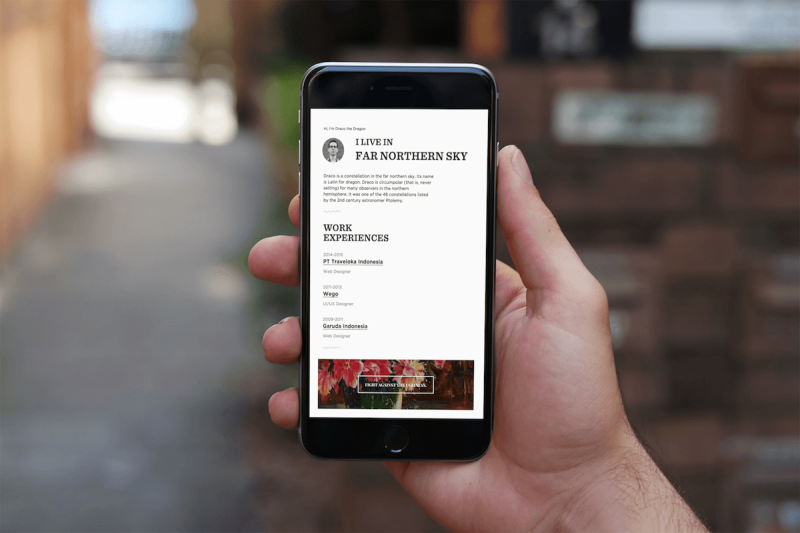 With a modern design, you can give a fresh look to your professional summary as well as choosing which experiences or skills you want to emphasize. You can still use the same information you have on your paper resume, but fit it within a visually appealing design. Images, links, and video are all acceptable as long as they are used appropriately. Your resume still needs to be focused, so include only what is relevant. While any professional can benefit from an online resume webpage, it is especially suited for creative types such as designers or graphic artists, as well as those who work in the tech industry, such as developers. Because most of the work by these professionals can be displayed and linked online, having a personal resume website is a great way to have all of one's professional work aggregated in one place. CakeResume is an easy-to-use editor you can use to create and host a resume webpage for free. It provides 50+ beautiful resume snippets to choose from to design a professional resume website in minutes.